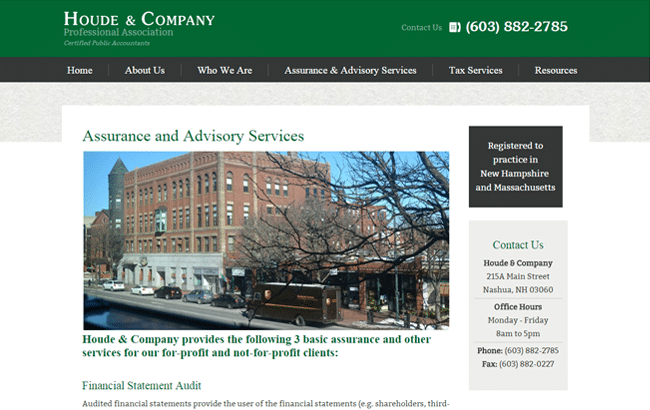 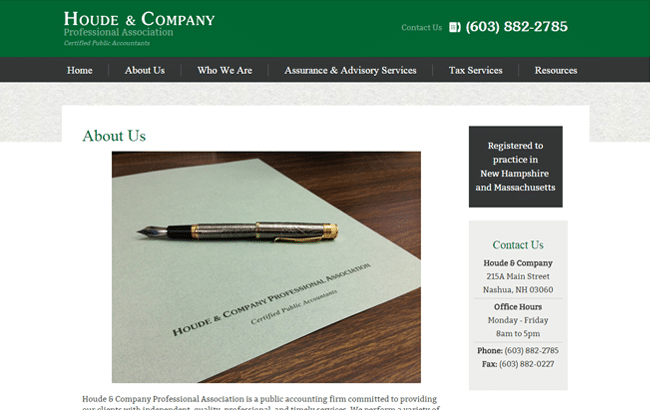 Houde & Company is an accounting firm based out of Nashua, NH that specializes in a variety of services. 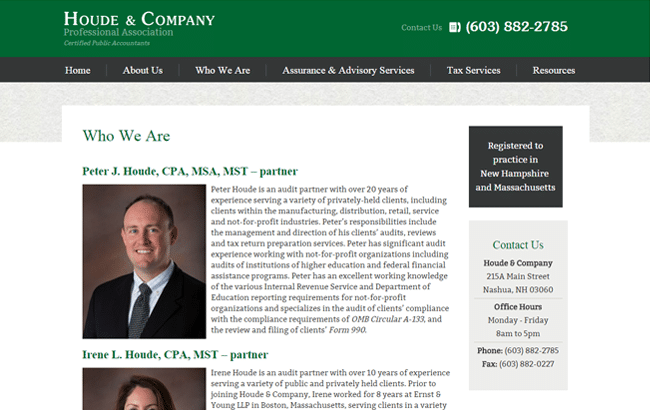 GoingClear constructed a business professional design that couples the companies signature green color together with a masculine gray. 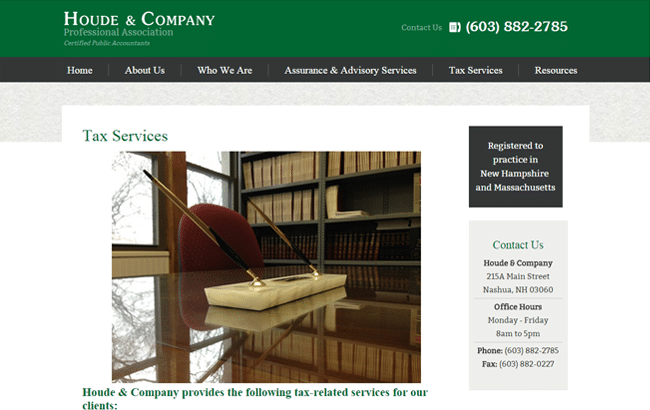 The site features high res photography and an inner page sidebar with pertinent contact information for viewers. 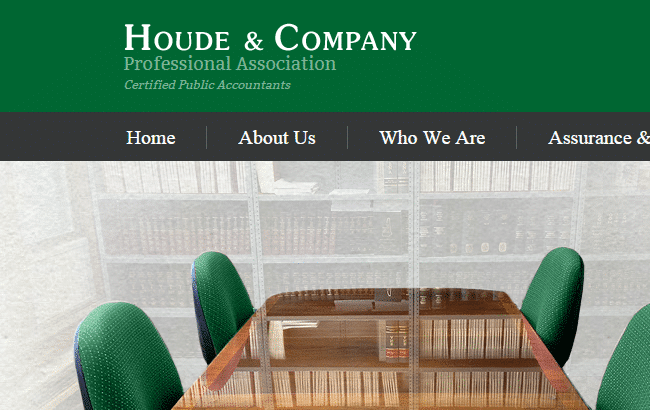 The new Houde & Company website was built using a Content Management System (CMS), and is Fully Responsive Mobile & Tablet friendly so it will display well on any device.